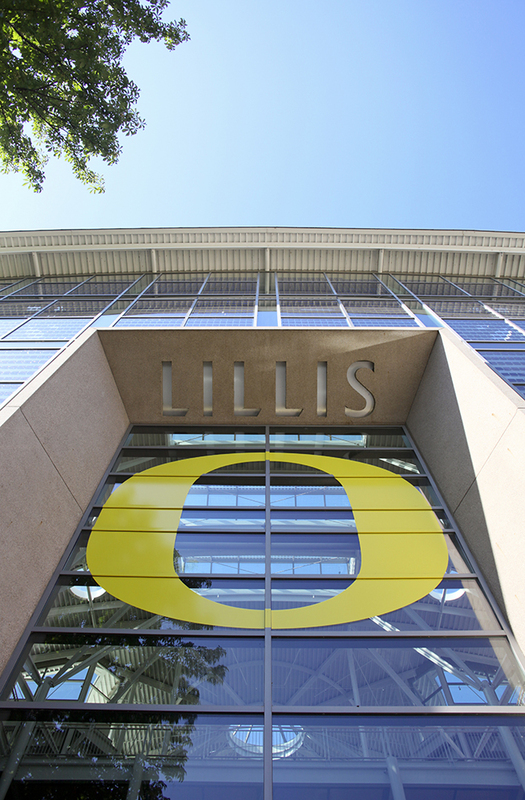 The Lillis Business Complex set the bar for sustainable buildings 10 years ago when it opened at the University of Oregon. Now microbes drawn from the dust in 155 of its rooms have provided clues that could inspire future architectural designers to encourage a healthy indoor environment. The samples were collected from the complex's centerpiece, Lillis Hall -- an airy, 136,000-square-foot facility, which has mechanical air ventilation throughout most of the building, except for a wing of offices where occupants wanted window ventilation. Lillis Hall was the first building in the Eugene-Springfield area to achieve LEED silver certification for its sustainability features. The building was chosen for the study because of its variety of different uses and its flexible operation. For example, Lillis Hall was designed to accommodate both mechanical and natural air ventilation, allowing researchers to observe whether ventilation influences indoor bacterial communities. Most of the bacteria that were found came as no surprise, Meadow said. "These are found about everywhere we look, inside or outside, and we found some of the same types of bacteria that you would expect to find living in soil and on plants. That tells us that some of the bacteria in buildings are likely being brought in with occupants and with outdoor air -- but not equally in all rooms." Deinococcus, whose members are known for their resilience when exposed to radiation and dry conditions, were the "oddballs" in the mix, Meadow said. "They are super tough and can hang out in harsh conditions, and buildings present some harsh conditions. But they were some of the most common bacteria in the building. They were found in all rooms, but more abundant in mechanically ventilated -- versus naturally ventilated -- rooms. That might suggest that they are accumulating over time while other bacteria dry out and die in buildings." "This is a relatively new research area," he said. "We don't really have a list of bacteria that we know that we should come into contact with -- such as the Top 20 good bugs or the Top 20 bad bugs, except for maybe a few pathogens. At some point, we will, and this research helps us understand how architecture and occupant behavior can contribute to a healthier indoor microbiome." "Researchers at the University of Oregon are untangling the web of multi-directional impacts among humans, natural resources, ecosystems, and built environments, and researchers at the BioBE Center are exploring a new frontier of science at the intersection of architecture and biology," said Kimberly Andrews Espy, vice president for research and innovation and dean of the UO Graduate School. "This study furthers our understanding of the microorganisms around us and the complex ecosystems that exist in the built environment. It is a step on the path toward improved human health, environmental sustainability and livability through optimized design."